The Goldfinch by Donna Tartt is a massive undertaking of a book. (The audiobook was over 30 hours long!) Despite its length, this book is masterfully crafted and deals with a wide variety of topics from drug use to terrorism to museums to alcoholism to loss to survival. 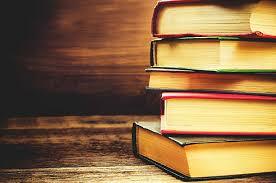 So many different themes that some reviewers have called this book an odyssey. I would have to agree with them. I definitely felt like I was being given the complete tour of the main character’s life, as well as everyone that he came in contact with. 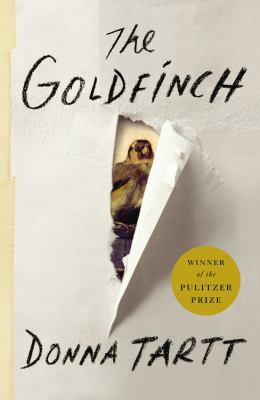 The Goldfinch by Donna Tartt tells the story of the life of Theodore Decker. This book follows Theo’s life starting as a young boy in New York City to his current situation as a man in his twenties who has wound up back in New York. As a young boy, Theo lives with his mother after his father abandoned them. Out one day with his mother, Theo miraculously survives a horrendous attack that kills his mother and many other people. Traumatized, alone, and unsure of his future, Theo finds himself ensconced in the home of a wealthy friend. When his father unexpectedly pops back into his life, Theo finds himself ripped from his only place of security into a whirlwind of confusion. He bounces around the country meeting new people, but is always drawn back to New York, the girl he met the day of the attack, and the artifact he found. This artifact, a painting, leads Theo down an unexpected road into the art underworld. Theo’s life journey, accompanied by this small, mysterious painting, is perilous: full of loss, mania, fixations, power struggles, new identities, and the looming, heady sensation of anguish and grief. This book is such a rich expanse of wonder that, once you are finished, you will be left gaping at everything that the author was able to pack in. It’s not shocking that this book won the Pulitzer Prize. Tartt has created a masterwork that takes readers through present-day America as Theo struggles to find himself amidst unbelievable loss and tragedy. Tartt pays such close attention to Theo’s feelings that readers are acutely aware of everything that is happening around him and how the tragedy he has suffered has deeply changed him. This is a story of massive loss and overwhelming survival, of obsession and the need to become a new person. Highly recommended.